Conor Murray reports on the Open Training College (OTC)’s recent success in the rapidly-expanding field of Blended Learning. The Open Training College won a big award for their eLearning course. The event took place in Belfast. The Open Training College has been going since 1992 providing an option for students to learn from home instead of at a college. Chosen from over a hundred entries from universities and colleges across the globe, the Open Training College (OTC) was recently awarded a prestigious First Place by the International e-learning Award committee in the category ‘Blended Learning – Academic Division’. The International E-Learning Awards are given each year for the best work in e-learning, mobile learning, and blended learning, in two divisions: Academic and Business/Industry. All submissions are evaluated by the IELA Awards Committee, who look for a variety of attributes. These include, among others, educational soundness and effectiveness, usability, and overall significance. The judging committee is made up of e-learning experts from around the world. At the awards ceremony held in Belfast in September, the College received the award for their online module devised for Social Care students, entitled ‘Professional Practice and Ethics’. Blended learning is the combination of face-to-face (classroom learning) with online learning and provides a strong model for learning. The College has students from all over Ireland and the online model allows the students to stay in contact with the College and to engage with other students, who are all practitioners, in a supportive, well-resourced learning environment in between their days in the classroom. The College prides itself on supporting their students through online learning from the moment of their application. Online learning supports give busy practitioners access to flexible learning and the ability to study anytime, anywhere. “The model of delivery has been developed and implemented over a number of years for our students. We have certainly seen our students benefit from its use, so it’s an honour to now receive the formal recognition from such a respected organisation as the IELA,” commented Dr Karen Finnerty, College Director at the Open Training College. 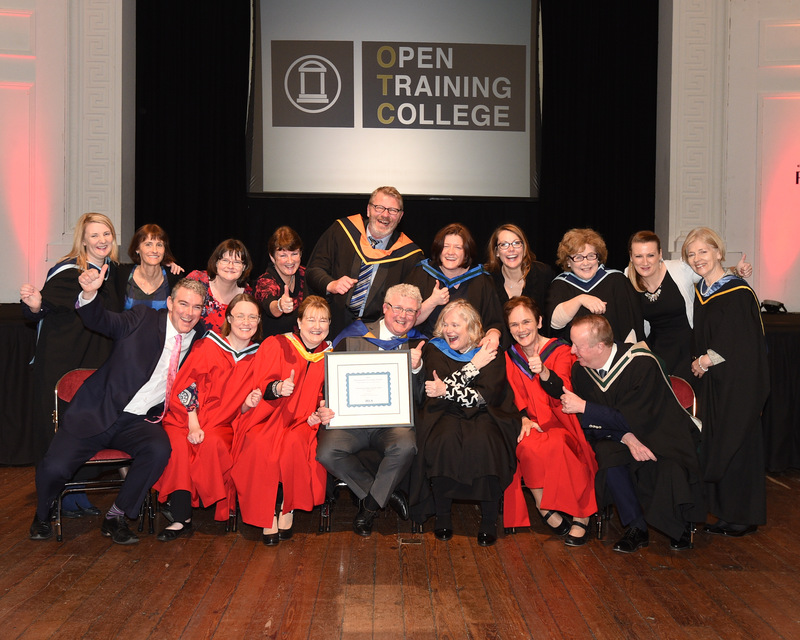 The Open Training College, established in 1992, is a recognised Third Level College delivering QQI-accredited courses to managers and staff working in the disability and wider non-profit community and voluntary sectors. Core courses concentrate on areas such as Social Care and Management. Please contact Conor for any course information on cmurray@opentrainingcollege.com or 01-2990580. Conor Murray is Corporate Services Manager at the Open Training College (OTC).